Cottonelle Clean Care Toilet Paper, Double Roll $0.60 v $0.72. To get this discount make sure that you are logged into your Amazon account to clip the coupon for a $2 discount. The Subscribe and Save price is $21.84 for 32 rolls. If you clip the $2 discount coupon that is just $19.84 for 32 double rolls. Who wants to win $10,000? Signing up for thousands of recipes could actually win you thousands of dollars. Register for the FREE Recipe of the Day newsletter for your chance to win weekly CASH prizes and the Grand Prize of $10,000. $10,000 to be given away September 30th 2014. Get this Swingline Thermal Laminator $14.99 v $59.99 Today 8/24 Only. Inspire Plus thermal laminator provides fast and easy one step lamination and is great for basic home or small office needs. If you are looking for an exciting way to celebrate the Chinese Lunar New Year then take a look at the fabulous celebration going on right now at SeaWorld San Diego. The event started on February 13th and we were lucky enough to attend and join in all of the fun. 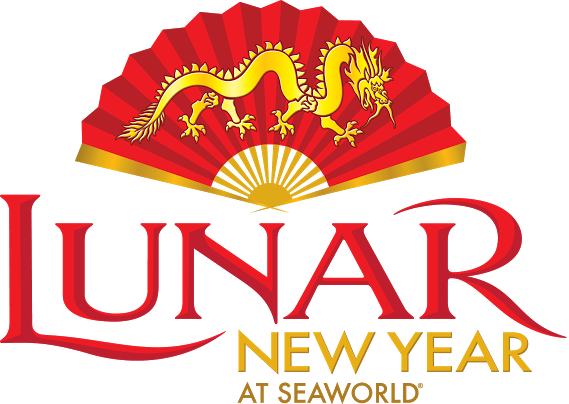 If you want to catch the Lunar New Year at SeaWorld the event runs from February 13th to 16th, 21st and 22nd as well as the weekend of February 28th to March 1st. As you enter the park you will be handed a red envelope which will have a special gift inside. We got front of line passes for rides, discounted food and priority seating for the Mission Bay Theater. It was a nice touch which was in keeping with the Chinese traditional theme of the red envelope. Visit the special Lunar New Year Festival area to see lion dancers, taiko drummers, and fan dancers on the community stage. There are games for the children as well as the Wish Tree where for just $1 you can write a wish on a red ribbon to be placed on the tree. All of the profits go to the SeaWorld and Busch Gardens Conservation Fund. As you would expect there is some great Chinese inspired food available too. We really enjoyed the vegetable rolls and the miso soup with noodles. My usually picky eater son tried the soup and loved it. We were pleased that there were vegetarian options. Other food available includes boa sandwiches, turkey legs with hoisin sauce, and chow mein. The sweet dorayaki griddles cakes were also really tasty. Our favorite was of court the cupcakes! Green tea was available but of course my kids found the Sprite more appetizing! The Chinese Acrobats of Hebei perform a 25 minute show four times a day during the Lunar New Year event. The show started with a contortionist who delighted the audience with her amazing flexibility. Then a group of acrobats flipped and somersaulted across the floor. The one part of the show which we didn’t really enjoy was the hat juggling. It just didn’t seem as impressive as the rest of the show and was visually not that interesting. The best part of the act was the man who could balance on one hand on the top of an almost too high stack of chairs. All in all it was a very entertaining show. After the show we enjoyed the excellent Manta ride. Yes we rode it 4 times – lines were very short and this is one of my favorite thrill rides. It’s very smooth and not too scary! Admission to SeaWorld is $86 for adults and $80 for children aged 3 to 9. There are also deals available including the Fun Card which allows guests to return for the whole of 2015. Parking is $16. This Syma S107G 3.5 Channel RC Helicopter with Gyro, Blue is just $15.99 v $19.99. These Syma Helicopters are great toys and at that price its great for the Holidays!